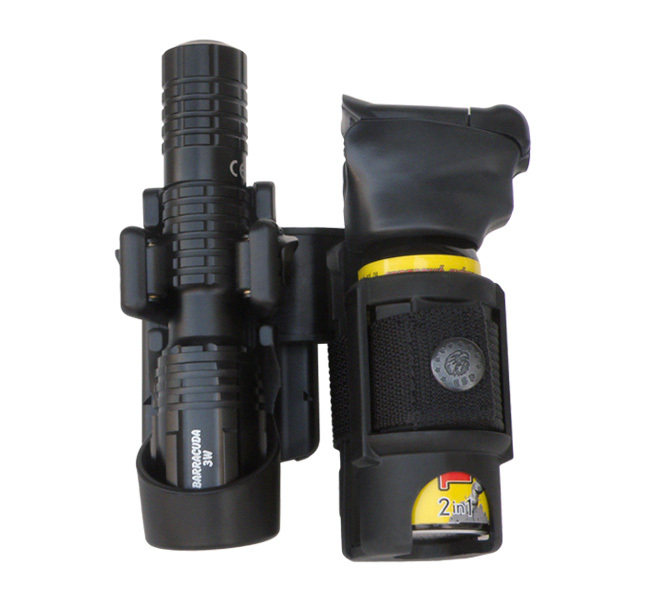 Double swivelling plastic holder consists of the holder LHU-04 (for tactical flashlight) and the holder SH-04 (for defensive spray) connected by special adaptor. 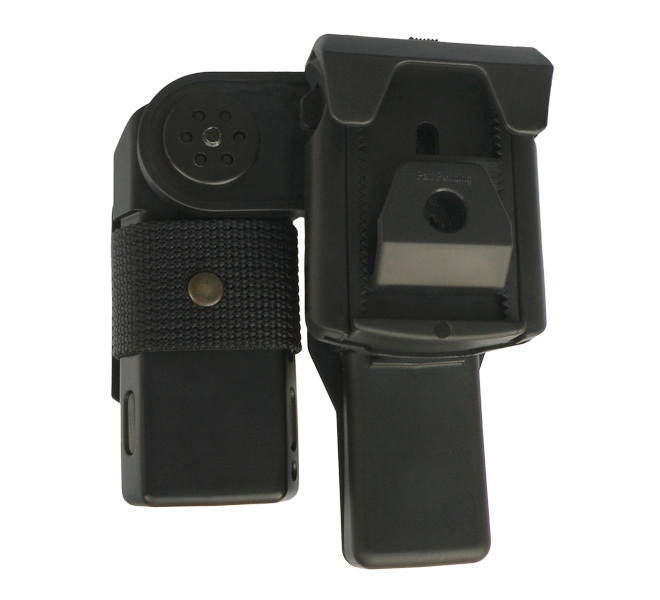 Advantage of this solution consists in saving the space on the belt. Both holders rotate in respect to the belt simultaneously, while their mutual position remains unchanged. 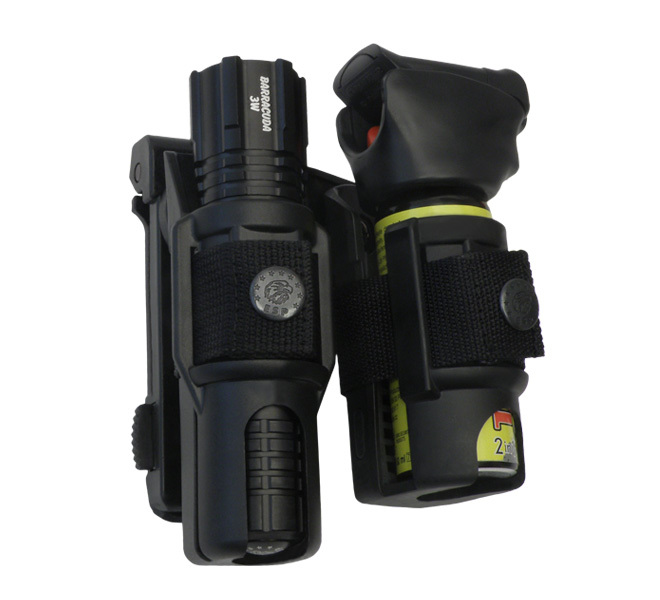 Constant position of the tactical flashlight and the defensive spray improves orientation on the belt when choosing the appropriate device. 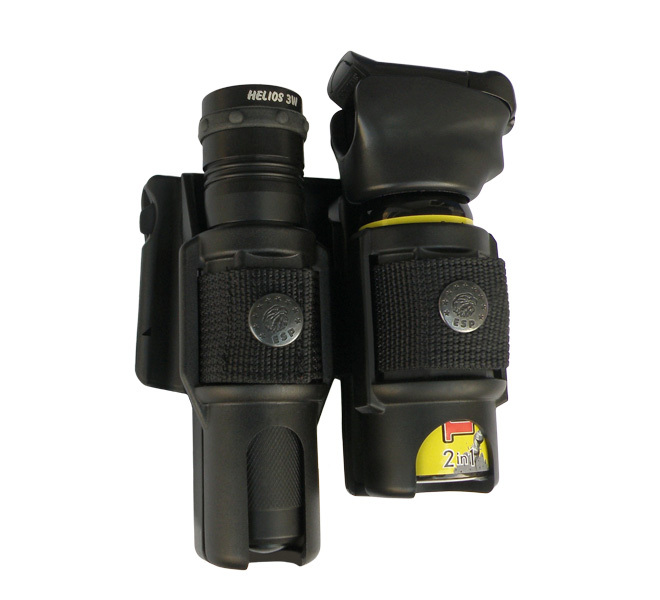 The adaptor makes it possible to accommodate easily the holders for carrying on the right or left side. 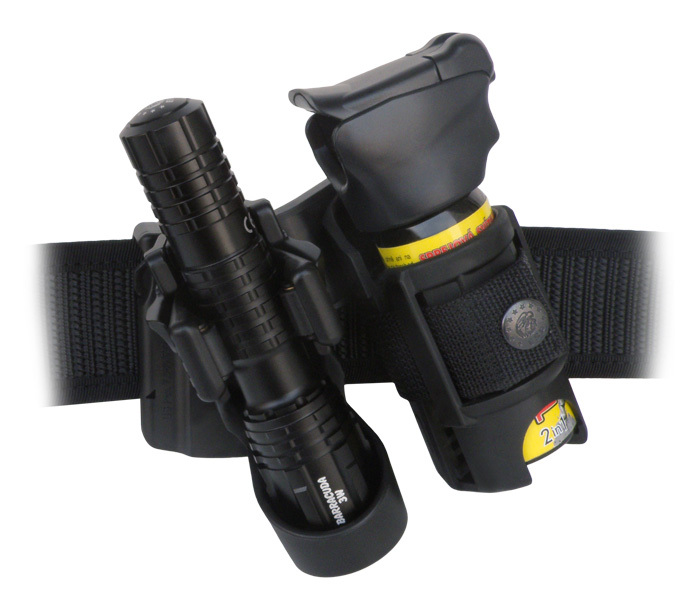 Double swivelling plastic holder consists of the holder LHU-14 (for tactical flashlight) and the holder SH-14 (for defensive spray) connected by special adaptor. 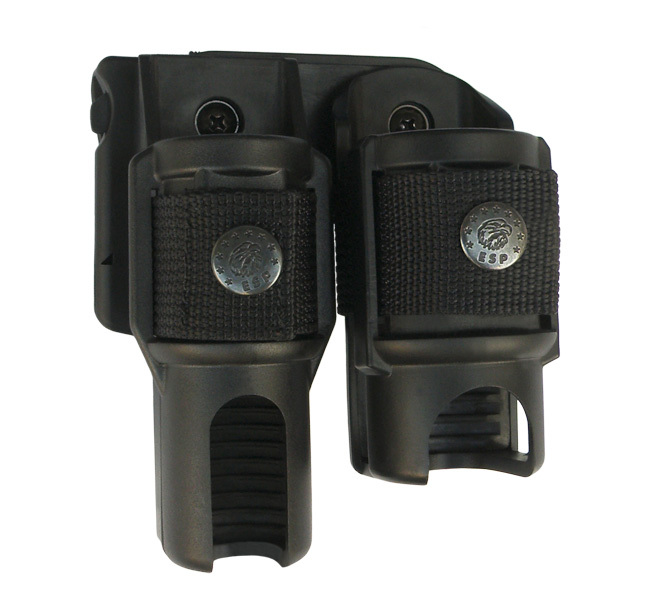 Advantage of this solution consists in saving the space on the belt. Both holders rotate in respect to the belt simultaneously, while their mutual position remains unchanged. 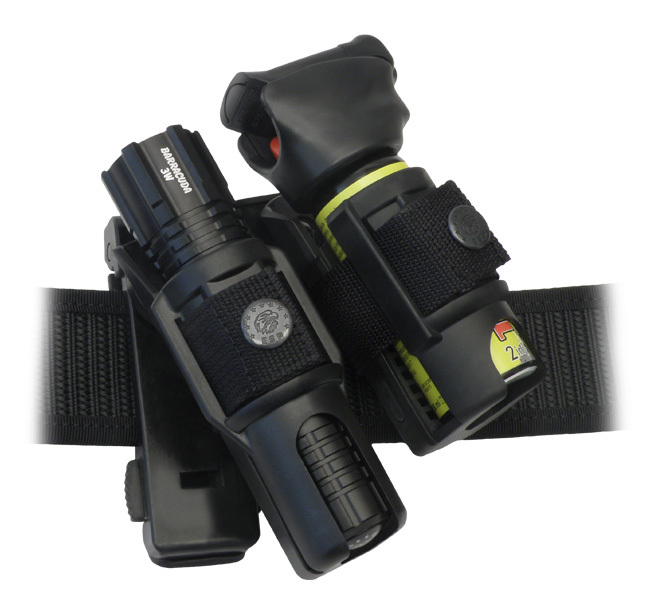 Constant position of the tactical flashlight and the defensive spray improves orientation on the belt when choosing the appropriate device. 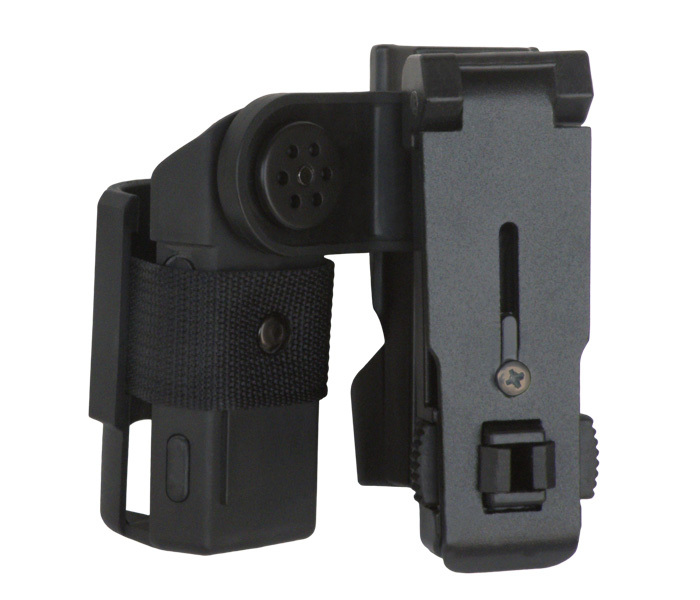 The adaptor makes it possible to accommodate easily the holders for carrying on the right or left side. 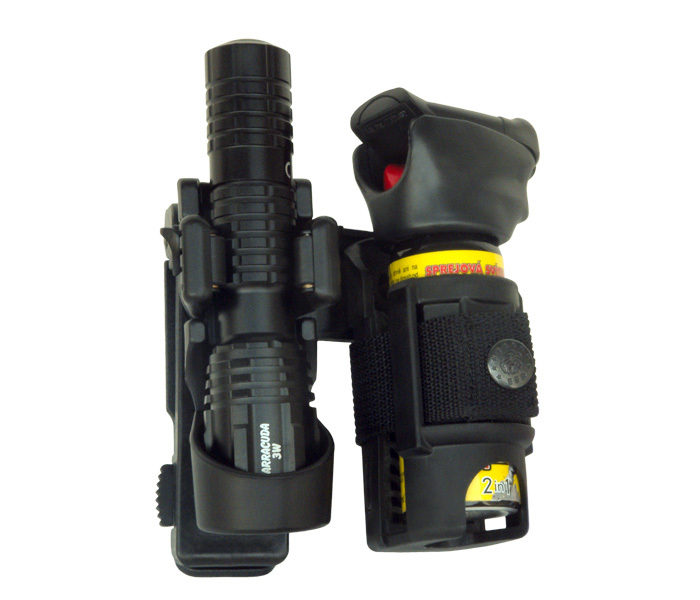 Double swivelling plastic holder consists of the holder LH-04 (for tactical flashlight) and the holder SH-04 (for defensive spray) connected by special adaptor. 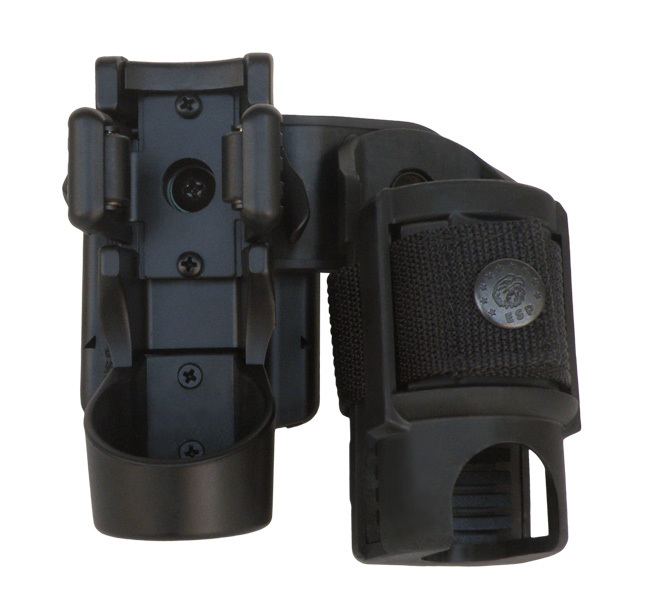 Advantage of this solution consists in saving the space on the belt. Both holders rotate in respect to the belt simultaneously, while their mutual position remains unchanged. 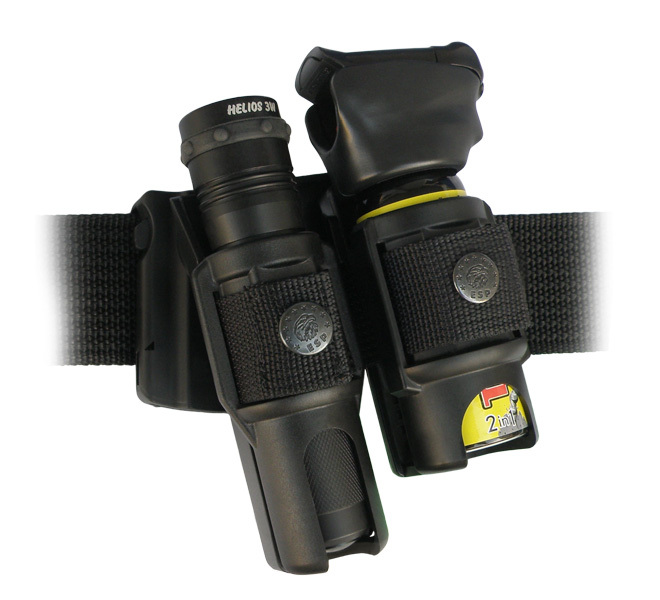 Constant position of the tactical flashlight and the defensive spray improves orientation on the belt when choosing the appropriate device. 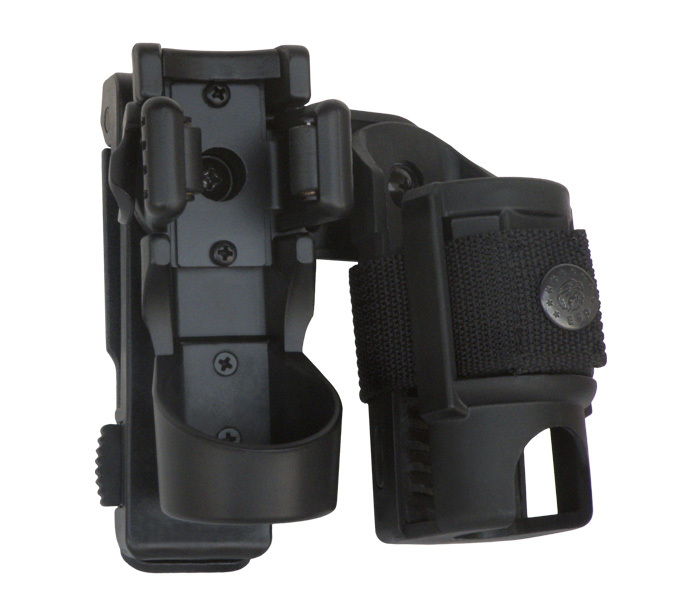 The adaptor makes it possible to accommodate easily the holders for carrying on the right or left side. 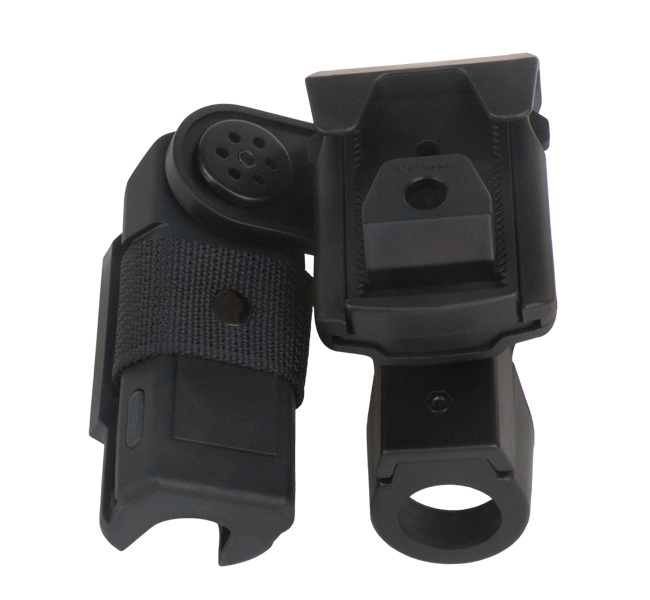 Double swivelling plastic holder consists of the holder LH-14 (for tactical flashlight) and the holder SH-14 (for defensive spray) connected by special adaptor. 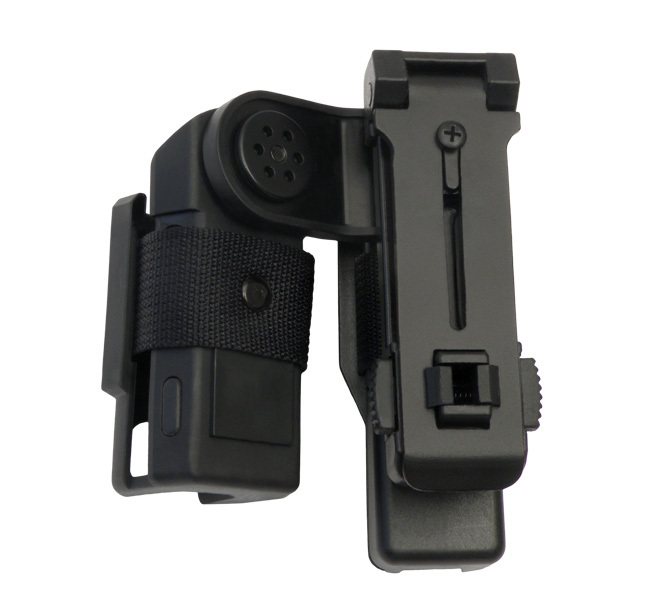 Advantage of this solution consists in saving the space on the belt. Both holders rotate in respect to the belt simultaneously, while their mutual position remains unchanged. 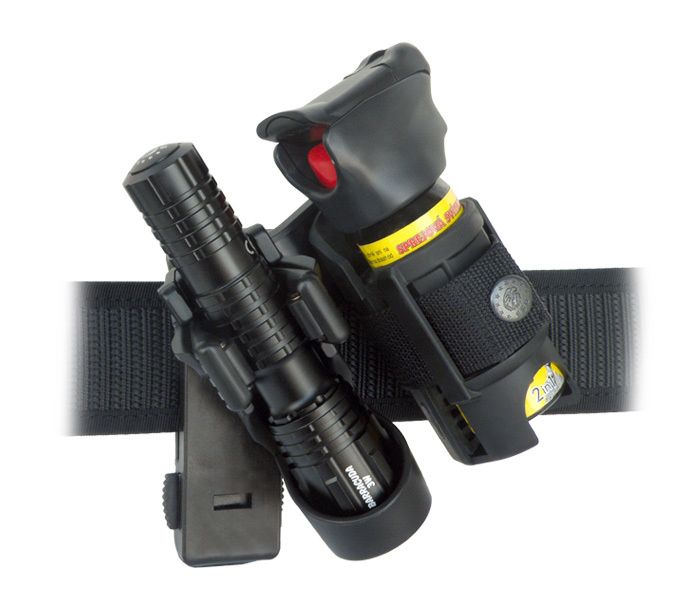 Constant position of the tactical flashlight and the defensive spray improves orientation on the belt when choosing the appropriate device. 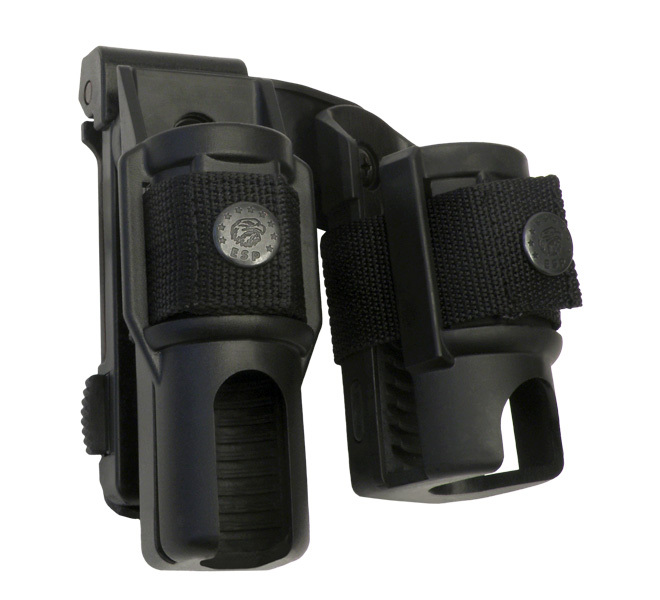 The adaptor makes it possible to accommodate easily the holders for carrying on the right or left side.